Great ideas don’t invent themselves. 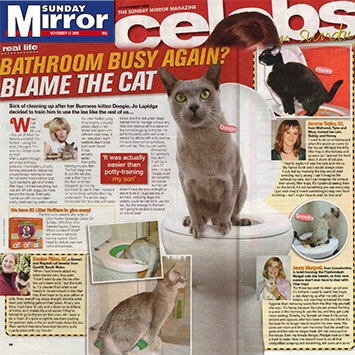 Here’s how the award-winning Litter Kwitter became the world’s no.1 cat toilet training system. Back in 2004 a young Australian family adopted a Burmese kitten and named him Doogie. Doogie was an absolute delight – playing, meowing, nuzzling, eating and purring. But there were a few not so delightful ‘ings too, like scratching, whining and worst of all, toileting: the dreaded litter box. 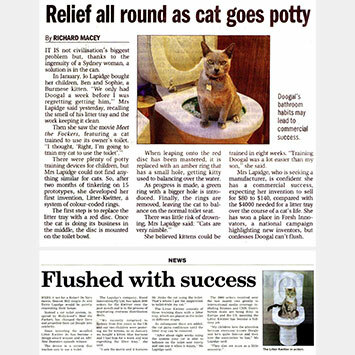 A few months and several mishaps later Doogie was toilet-trained and the Litter Kwitter was born. The first prototypes were little more than toilet seats with pieces of plastic screwed on, but after consulting animal behaviourists and cat psychologists for advice to ensure the device and training worked with the cat’s natural instincts the Litter Kwitter finally took shape. 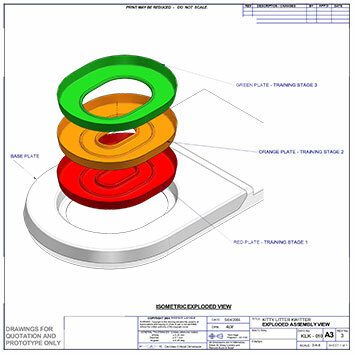 Early prototypes were tested with vets and cat owners to finalise the methodology before the final product was launched to the world in 2005. Now in it’s 12th year the Litter Kwitter has trained over one million cats worldwide and is the proven solution to litter box misery. The media have been very interested in showing their viewers the Litter Kwitter on news bulletins and talk shows all around the world on networks like CNN, BBC, ITV, SKY, Fox and the ABC network. From Ricky Gervais and Jonathan Ross in the UK, David Letterman and Dr Marty Becker in the USA, through to the New Inventors and Dr Harry in Australia the Litter Kwitter is a media superstar with over 100 appearances on TV in more than 40 countries. 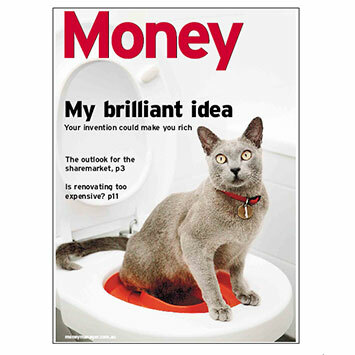 Newpapers and magazines have been interested in cats using the toilet too. Here are some of Litter Kwitter’s early press moments.